This could quite possibly be the world’s first color changing faucet — built-in LEDs change colors based on the water temperature. 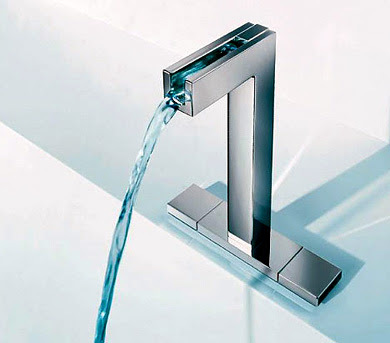 There is also “precise control” for baths, sinks, and showers. No word yet on pricing and availability.